Primare I30 review | What Hi-Fi? This amplifier has a lot to live up to: its predecessor, the A30.1, was a multiple Award-winner with a breadth of appeal that few rivals could match. But the I30's performance means once again Primare has a product to challenge the very best at its price level. Place this elegant integrated next to opposition from the likes of AVI, Myryad or even Naim and it's hard not to be impressed by the I30's extra dose of class: it feels rock-solid and all the controls work with an air of precision rare even at mortgage-money. Features are spot-on, too. 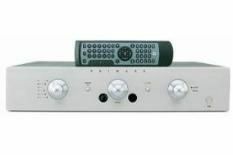 You get balanced inputs, and the amplifier has a fully balanced symmetrical circuit layout, a preamp output for bi-amping, and remote operation. All these things are very nice, yet they're not why we rate this amplifier so highly. That honour belongs to its sound. The I30 is one of the cleanest, most informative amps available below the three grand mark. Its 100 watt per channel output may not seem particularly impressive, but the I30 still delivers the seismic dynamic shifts of Holst's Mars with real conviction and composure. The sound doesn't harden up at even high volume levels: the amplifier carries on delivering crescendos with no sign of buckling under the pressure. The good news doesn't stop there. Timing is crisp, so the hard-charging rhythms of Massive Attack get treated with the respect they deserve. Imaging is superbly layered and focused with precision. Add a neutral tonal balance into the equation and you'll understand why we rate this amplifier so highly. This old A30.1 was very good, but this latest version is in another league altogether. It's far more open sounding and shows gains in resolution, dynamics and timing over its predecessor. Rivals better watch out, because the I30 is one exceptional product.